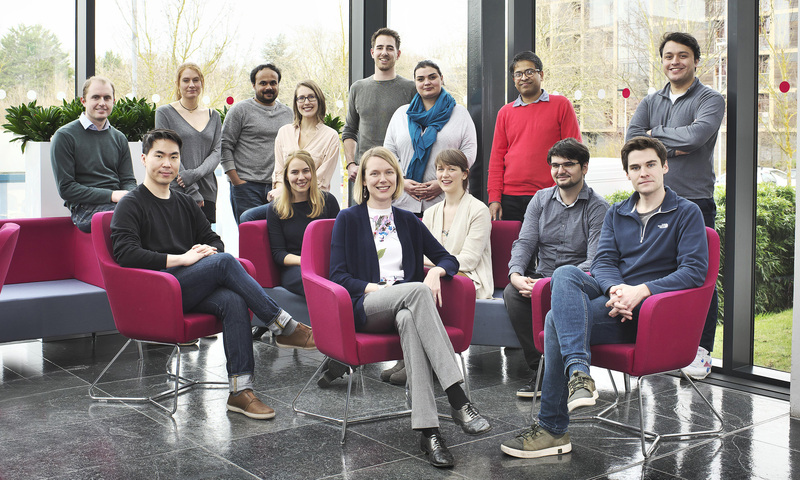 Dr Sarah Bohndiek, who co-leads the CRUK Cambridge Centre Early Detection Programme, has been awarded an Early Career Achievement Award by SPIE, the international society for optics and photonics. 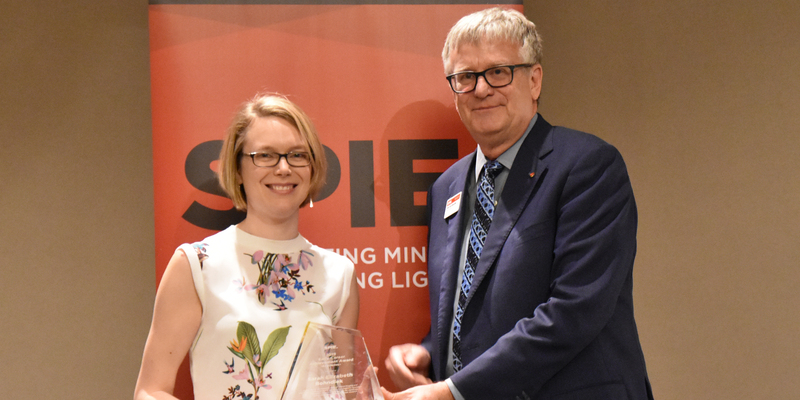 The SPIE Early Career Achievement Awards recognise young professionals' significant and innovative technical contributions in engineering or scientific fields of relevance to SPIE, honouring excellence in academia and industry/government. She leads pioneering research on optical imaging and spectroscopy, enhanced by use of X-rays, magnetic resonance and photoacoustics, and has made significant advances in molecular imaging for cancer research. In addition to co-leading the Early Detection Programme, Dr Bohndiek is a junior group leader at the Cancer Research UK Cambridge Institute; a Fellow of Corpus Christie College; and a university lecturer in the Physics department. She completed a post-doctoral fellowship at Stanford University's School of Medicine in 2013. As a graduate student at University College London, Bohndiek studied radiation physics, assessing and exploiting the capabilities of the then newly emerging CMOS (complementary metal-oxide-semiconductor) sensors for X-ray imaging. She developed new testing methodologies for these non-linear devices, and presented her findings at SPIE Photonics West 2007. Between 2008 and 2011, she studied magnetic resonance imaging at the University of Cambridge, making major contributions to the imaging of metabolism using hyperpolarized carbon-13: of her papers from that period, six have been cited more than 50 times. "Sarah has distinguished herself as a very prolific scientist, and an outstanding scholar and educator," says Laura Marcu, SPIE Fellow and professor at the departments of biomedical engineering and neurological surgery, at the University of California, Davis. "She is an exceptional individual who combines an enthusiasm for fundamental questions in optical sciences applied to biology and medicine with an amazing intellectual capacity that spans many different fields." Today, Dr Bohndiek is developing biomedical imaging techniques to improve cancer-patient management. She is an SPIE Student Chapter Advisor for the University of Cambridge, actively champions the chapter within the physics department and to local industry, and sponsors lab members to participate in SPIE meetings. For SPIE Photonics Europe 2016, she organized and delivered a Women in Optics event, as well as giving a plenary talk. Her unique perspective, built through training in physics, biochemistry and radiology, has burnished a reputation as an emerging multidisciplinary research leader in her field. "Sarah is a rising star in our field," notes SPIE Fellow and National Institute of Biomedical Imaging and Bioengineering director Bruce Tromberg. "She's established an ambitious programme that simultaneously advances cutting-edge molecular imaging technologies and translates them to the clinic. Sarah has also made outstanding contributions to scientific outreach through significant public engagement activities, media appearances, and an online blog. She has a growing international reputation as an exceptionally creative scientist who is able to work at the interface between new technology development, modelling and computation, and clinical translational research."